Contact Island Cottage Holidays at Romany Cottage on 01929 481555 (mobile: 01929 481555) or complete the enquiry form. Idyllic Isle of Wight holiday cottage with 3 bedrooms, nestled in Totland Bay on the west side of the Isle of Wight, just ¼ of a mile from two blue flag award winning beaches. 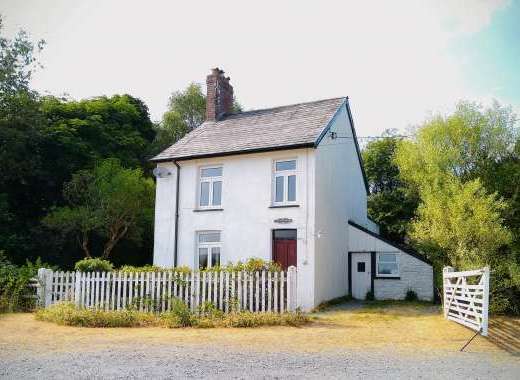 Located in a tranquil residential area, this beautiful holiday home has been decorated to a high standard and can accommodate up to 6 people. Within Romany Cottage there is a large south west facing lounge, with an open fire to give the room a warm glow along with French doors that open out to the patio and tranquil garden from kitchen, lounge and dining area. The dining area is for six and has a wood burning stove. The good size large kitchen is well equipped for self-catering breaks. The kitchen also features a breakfast area which seats six. Also downstairs, there is a WC and an area to hang up coats. Upstairs are the three bedrooms where you can be assured of a good night’s sleep. Two of the attractive bedrooms are doubles and one is a twin bedroom. There is also a stylish modern bathroom. 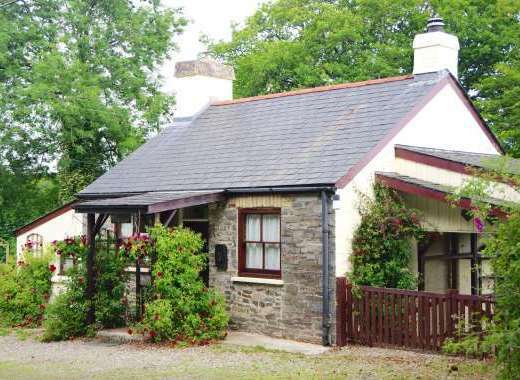 Romany Cottage benefits from gas central heating throughout. Gas and electricity is included as is bed linen, tea towels and hand towels are included in the holiday let. Bath towels can be hired, if required. The sunny south west facing garden features a wildlife pond and is a lovely place to sit out and relax in summer time. Wifi is available, please ask when booking. Children are welcome – 12 years +, regrettably not smokers or pets. With a 4 star rating and gold award, this holiday cottage is welcoming and homely, so homely and comfortable in fact that some guests return year after year. Whether you are looking to enjoy walking, cycling or simply relaxing by the beach, you can do all of this on the beautiful Isle of Wight. Please visit http://www.relax-at-romany.co.uk to find out more about the holiday cottage, amenities, surrounding area and places to visit in Isle of Wight. Dishwasher in kitchen Free Wifi Washing machine in utility room Drying of clothes in outhouse. Fridge with small freezer in kitchen Larger freezer in outhouse Large Patio with wooden patio chairs for six, table and parasol. Open Fire Wood Burning Stove Locked side outhouse for bikes Garage. The property is in a quiet residential area with off street parking for up to 3 cars, as well as unrestricted parking on a wide quiet road. Tucked away, it is 10 min walk to Colwell Bay and Totland Bay beaches and 5 mins drive to Freshwater Bay Beach. Freshwater Village has a number of useful shops, bakery butchers, Coop, Sainsbury's swimming pool, local restaurants, fish and chip shop. Romany Cottage is walking distance to bus routes that take you both ways around the beautiful Isle of Wight. Nearest Train Station or Airport: Nearest ferry port - 5 mins drive to Yarmouth, West Wight. Recommended Places to Visit: Carisbrooke Castle Osbourne House and Gardens Ventnor - Town and Botanical Gardens The Needles - walk down to the beach and picnic and chair lift back excellent views. Take a boat trip and see The Needles from the sea. Great fun. Yarmouth - Old Gaffers Weekend. Yarmouth has other events through out the year. Newport - shopping, cinema, museums. Cowes - boating weekends very busy but worth going to see the yachts and speed boats Colwell Beach - on a sunny day what more can you want than lazing around on the sandy beach with ice cream, bar and refreshments all at hand. Annual Events: Isle of Wight Walking Festival 2018 Walk the Wight 2018 Old Gaffers Festival 2018 Newport Jazz Festival 2018 Rhythm Tree Festival 2018 Ventnor Fringe - Festival - 2018 Two weekends of Open Art Studios across the Island 2018 Sail the Wight 2018 Round the Island Race 2018 Cowes Week classics 2018 24 Hour Round the Island Walk - 2018 Rhythmn and Blues 6-9 October 2018 Wolverton Manor Garden Fair 2018 Cowes Classic Speed Boat Race 2018 Ryde International Classic Car Show 2018 Ryde Illuminated Carnival 2018 Isle of Wight Garlic Festival 2018 Do look on the Visit Isle of Wight website for more events being held over the year. Freshwater is the main town in West Wight. With bakers, award winning butchers, Sainsbury's, Co-Operative stores to name a few, certainly a good range of shops for a great holiday. Here you'll also find a well facilitated sports centre with a heated indoor swimming pool, library and a range of pubs and restaurants- eat in or eat out. A short walk will take you to Colwell Bay with sandy beaches cafe, ice cream shop and restaurant over looking the water. Totland Bay, offers an excellent view of The Needles and lovely walk to Freshwater Bay. Romany Cottage is based in Totland Bay, but really closer to Colwell Bay with a 10 mins walk to its sandy beach and the Isle of Wight Coastal Path or into Freshwater Village for his range of shops. Freshwater Bay is about 5 mins drive from Freshwater Village or is a lovely walk to it from the cottage, where you can see or climb up Tennyson Down. The bus routes near the cottage, take you into Newport and around the Island. Well positioned, Romany Cottage is about a 5 mile drive from Yarmouth and the ferry terminal to Lymington and 40 mins drive from Fishbourne and Cowes ferry terminals.